Samsung Galaxy S6 and S6 edge US pre-orders up tomorrow, test units in stores! 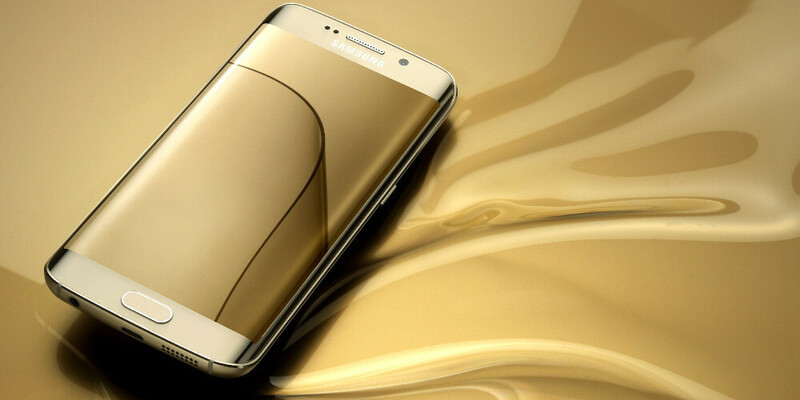 Last week, we caught wind of a pretty solid-sounding rumor that the Samsung Galaxy S6 and S6 edge, the company's most advanced and beautiful smartphones to date, will be available for pre-order in the US starting tomorrow (March 27). The launch date has not been changed, though - both phones will still arrive in brick-and-mortar stores on April 10, which will mark the global release of the Android champs. Well, today, Samsung has officially announced that, yes, you will be able to reserve your new Galaxy S6 or S6 edge in less than 24 hours! Not only that, but if you wish to catch a preview of the metal-and-glass flagships, starting tomorrow, you will be able to do so in AT&T, Sprint, T-Mobile, Verizon Wireless, and U.S. Cellular stores, or any of the Samsung Experience Shops at Best Buy. The Galaxy S6 and S6 edge are expected to be hugely popular this year, as Samsung has tweaked the way it treats its flagships to make them more appealing – from the beautiful shell, built from choice materials, to its simplified and snappier user interface. The handsets are powered by a promising homebrew 64-bit octa-core Exynos 7 7420 SoC, 3 GB of RAM, sport beautiful QHD (1440 x 2560) Super AMOLED displays, and have extremely potent cameras, which we found to be breathtaking. If you wish to know more about the new Sammy flagships, you can check out our reviews here – Galaxy S6, Galaxy S6 edge. People from the us. Tell us how the phone is. I went to a local best buy last week and whew, there were so many people talking about the s6 and s6 edge. This phone is going to be a sales beast. Demo units are already there at many Rogers stores here in Canada.. Played with a Black S6 edge, and it was way faster than my current S5.. It looked soo fragile and I was holding it with both of my hands.. :p I think I would buy a case this time after using naked phones for last 3 years. I actually got to hold and even take pictures on and with the Black Sapphire Galaxy S6 about two weeks ago at a Target. The phone was very light, it felt very nice in my hand and it looked stunning. The screen looked top notch and the wide angle pictures of the front camera were also very impressive. I am very fortunate to have been able to handle one some while before the official demo units. It belonged to a Samsung employee so it was not a tethered demo unit, I got to see the entire phonenand even play around with it. The fingerprint unlocking was very quick and accurate. I am very excited to be able to handle the S6 again and especially the S6 Edge soon. How does it feel with a case on it? Most people put cases on their phones so who cares what it feels like? They took too many features out. This is a downgrade from the s5. Its an iphone copier that lost a lot of features This year. No micro sd. No Waterproof. No removable battery. AND smaller battery! I guess that I know what I'm gonna be doing after work tomorrow. i was at my local bestbuy and playing with it.I must say it's snappy and feels good in the hands. I'd say, much better than my note 4. The speaker is not as loud as my note 4, but much bassier and sounds better. The pictures taken with my note 4 and s6 were identical imo. The s6 is just a tad quicker.